Hey Beauties. It's Monday evening and despite being in a bit of a dull mood I can honestly say my skin is gleaming. 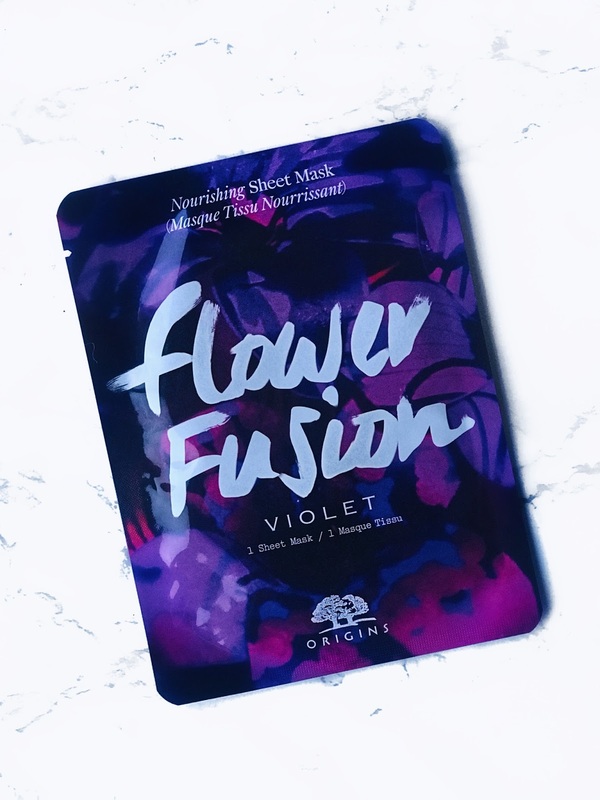 I'm a total skincare addict and I couldn't wait any longer to tell you about my favourite sheet mask from Origins. Origins is a skincare brand I truly love and a brand that has been a part for my skincare routine for well over five years. Touch wood nothing I have ever tried from them has made me react, despite using products across their whole range for a variety of different skin concerns. Anyone who knows me well will know all about my obsession with Violet! My nana was called Violet, but I also love the sweet scent, plus I'm a sucker for Palma Violet sweets, yum! Violet itself is really gentle on the skin and also a great ingredient for problematic skin types. Recently my skin has been a little up in the air and this mask has worked wonders to calm my combination skin. The sheet mask is made of 100% Bamboo and is fortified with flower wax, which is a byproduct of essential oil distillation with excellent emollient properties. Plus, the delicately sweet scent of Violet instantly helps to reassure you and put your mind as well as your skin at ease. Overall, this mask is a total winner for me and one I would really recommend. I've already re-purchased it several times and know I can rely on it to fix my skin whilst taking me to a super happy place, it really does smell that good. I am actually obsessed with candles and I'm all for that Hygge life. Some of my favourite candles come from Neom Organics, White Company and Lily Flame, but more recently I have been making trips to HomeSense and treating myself to multiples candle's for a fraction of the price. I do burn candles like there is no tomorrow, so paying £30 and more for candle's can get pretty pricey, especially when I'm in the process of house hunting. I tend to reserve my more expensive candles for times where I know I'm actually going to be in that room. I've come across some stunning candles in Homesense recently, but my current favourite is this delightful candle from a brand called LAB! Who doesn't love a pretty candle, especially when it has such a sweet and unique scent. I was really drawn to this candle before I even smelt it and loved how girly it looked, a bloggers dream. 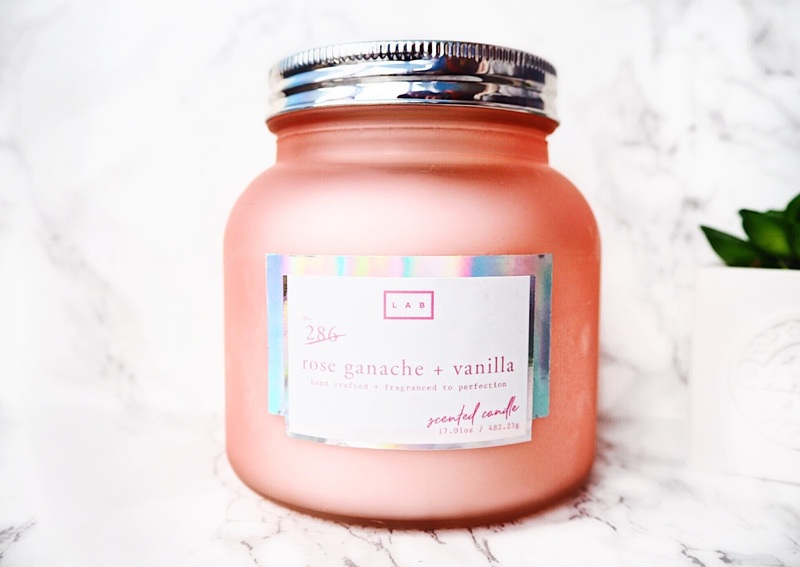 I'm a huge fan of rose and vanilla so really it was always going to be a match made in heaven! 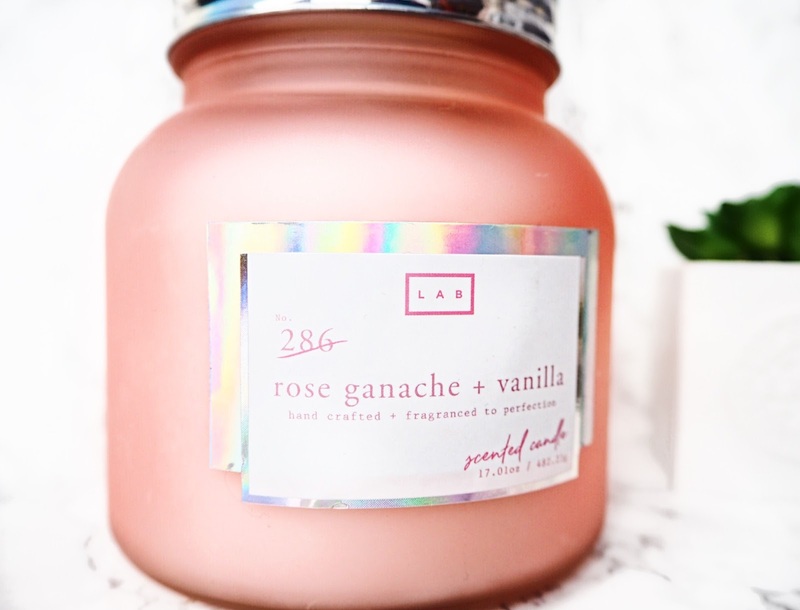 I've never heard of LAB candles before and I haven't had much fun locating them online either, so I'm praying they're a regular in HomeSense. The scent reminds me of the impressive lobby in Atlantis The Palm, a sweet but classy scent that instantly comforts and uplifts your spirits. I did wonder whether this candle would smell, as I find a lot of the time candles smell great in the pot, but when it comes to burning them it's a whole different story. However, I'm pleased to say that this candle does smell and leaves the room smelling absolutely amazing. Overall, this candle is beautiful and will make a lovely addition to any space. If you're passing by your local HomeSense, I would really recommend you popping in to see if they have this or something similar. I regularly stop by to stock up on super pretty and unique candles, which are in most cases £10 or under... bargain!